I’ve been getting loads of questions from other knitters about how to make afterthought heels on socks recently- it’s my favourite heel right now and I love the simplicity of it- no short rows, gussets or anything else that generally makes people run for the hills rather than sit down and knit a pair! 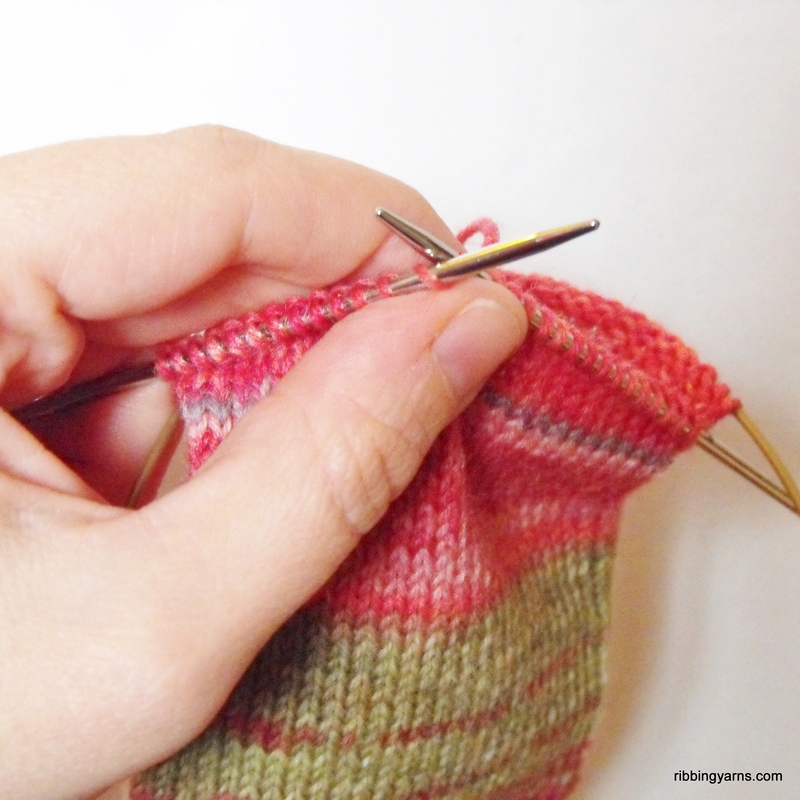 In this post I’ll show you step by step how to place the waste yarn, the first bit of creating the heel. Here I’m ready to start the afterthought heel after knitting the leg. 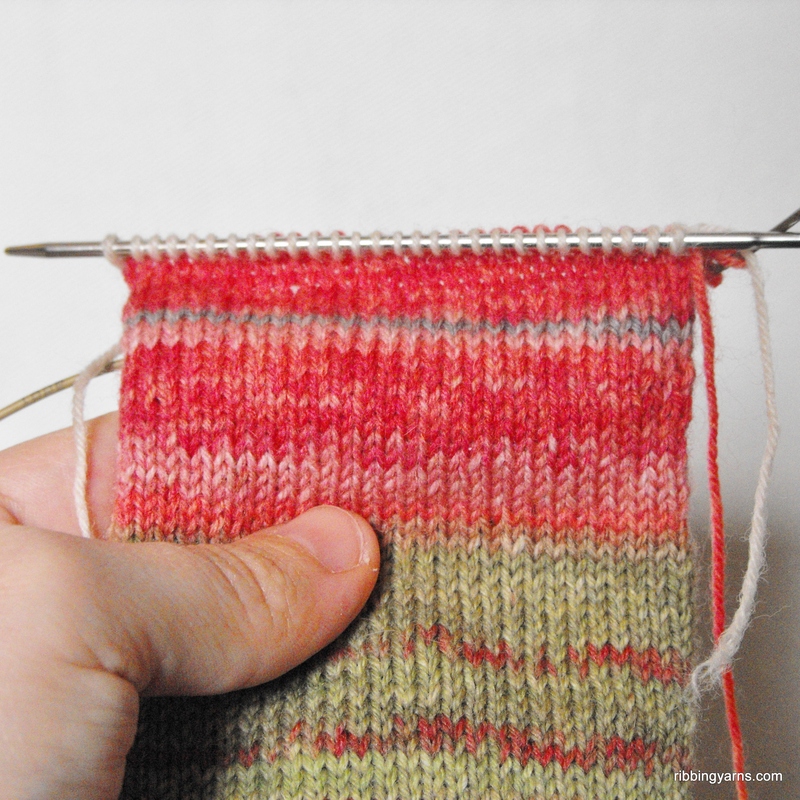 I’m knitting a top down plain sock in stocking stitch using self striping yarn. 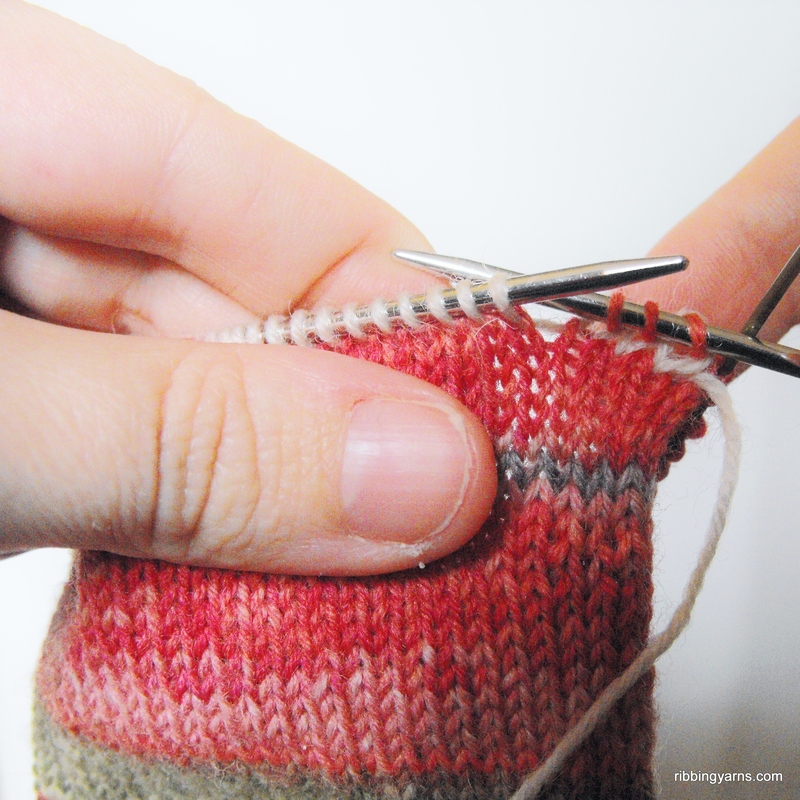 This sock is knit using magic loop technique, but the instructions can be used for any sock knitted in the round. Nothing fancy, just knit them as normal! You’ll need a bit of contrasting coloured yarn of the same weight long enough to knit the other half of your stitches. Here I’ve got a bit of white yarn. Leaving the pretty sock yarn hanging, take up the waste yarn. Don’t tie it to your sock, just leave it hanging loose at the end. Now knit the 2nd half of your stitches. Here you can see the waste yarn coming in- this is where the heel will magically appear later! Knit to the end of the round. So we’ve completed a round. Hooray! Now I can drop the waste yarn. 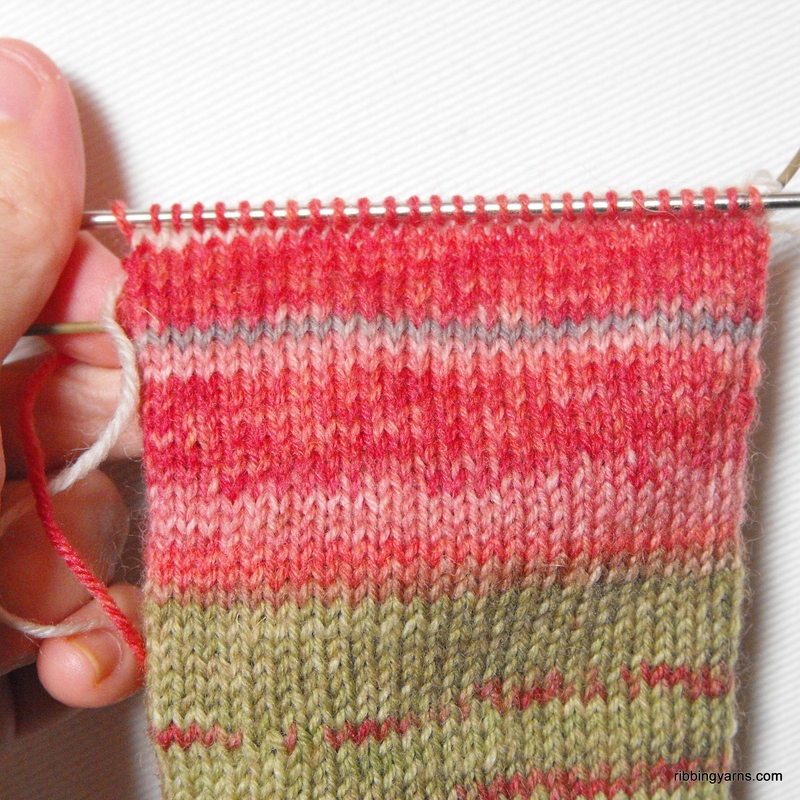 I want to get back to my lovely red sock yarn again which is trailing from the opposite end of the needle. 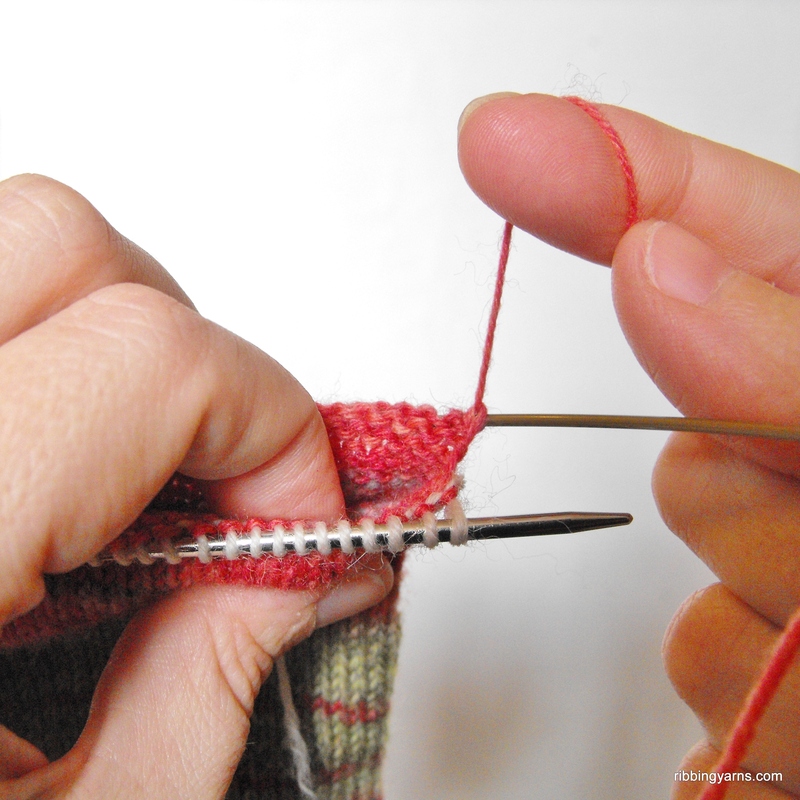 Slip the stitches you’ve just knit with your waste yarn back onto the left needle. Now all the waste yarn stitches are slipped back to the left needle, we’re going to knit these same stitches a second time with the sock yarn that was left hanging. Taking up the sock yarn again. And there you go! 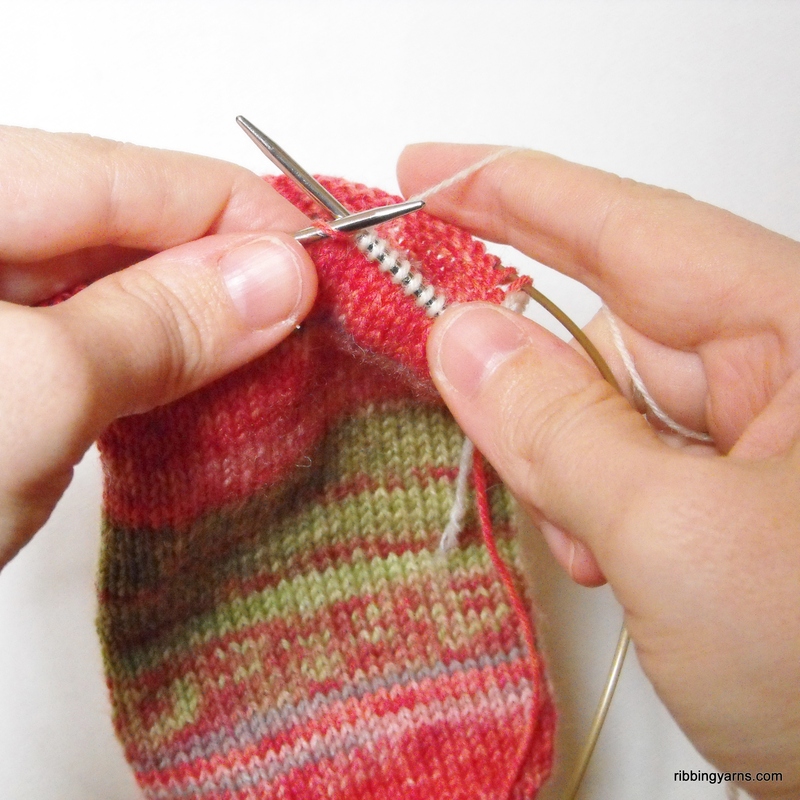 You have knitted your heel round. Even though half of your stitches have been knitted twice, the waste yarn will be removed later, so your round is evenly matched. 6. 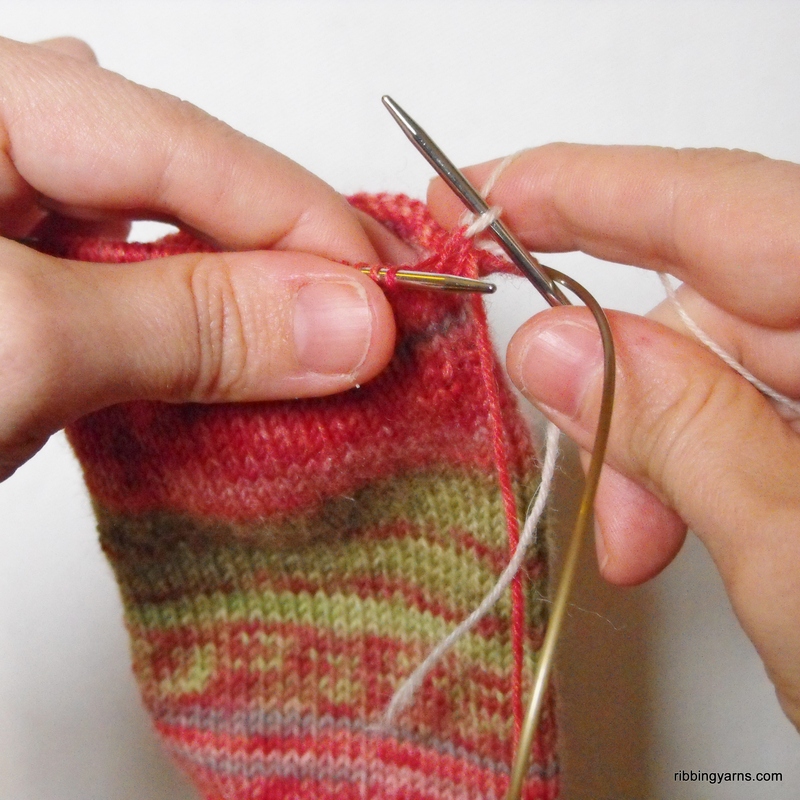 Now just keep knitting in the round for the body of your foot like nothing happened! 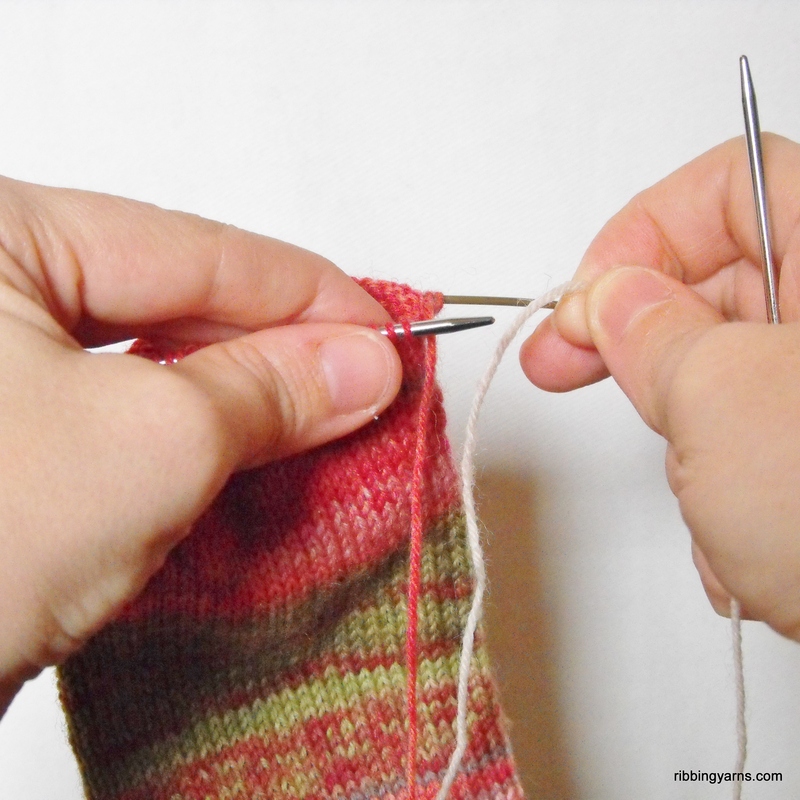 After you’ve made the toe and “finished” the sock, we’ll come back and make the heel. See you in part 2! Feel free to ask me any questions, and let me know how it goes in the comments section below! 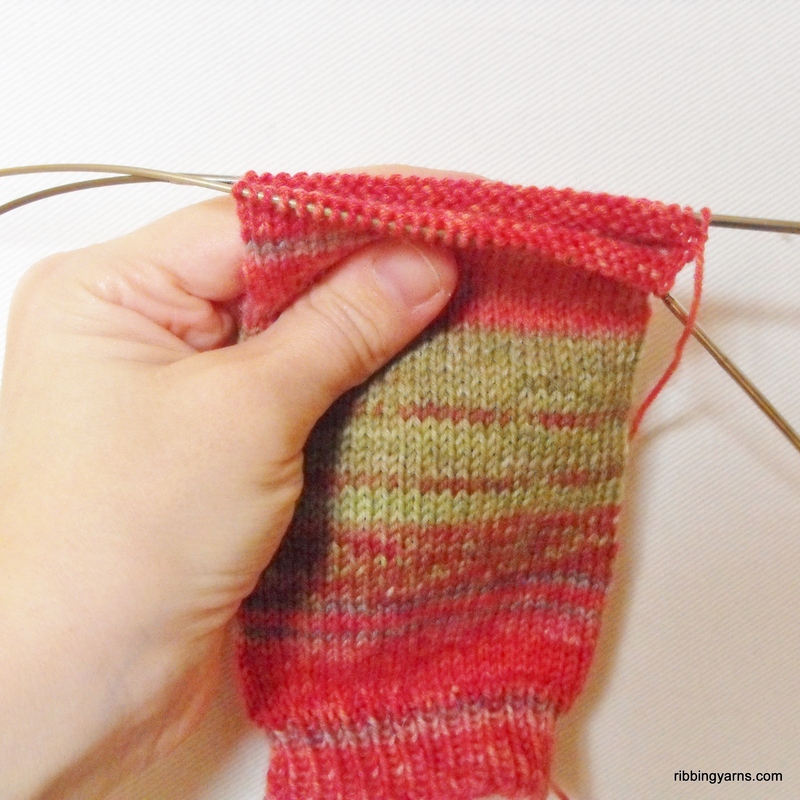 This entry was posted in How To, Knitting and tagged Afterthought Heel, Autumn knitting, Craft, Håndarbejde, How to knit, Knitted Socks, Knitting, sock heel, Strik, Tutorial, Winter Knitting. Bookmark the permalink. So far so good with the afterthought heel. Thanks for the demo. The pictures were really helpful. Now on to part 2. Excellent tutorial. How many inches is the heel? Don’t I take this into account when knitting the body of the sock? Thank you. Glad you found it helpful! 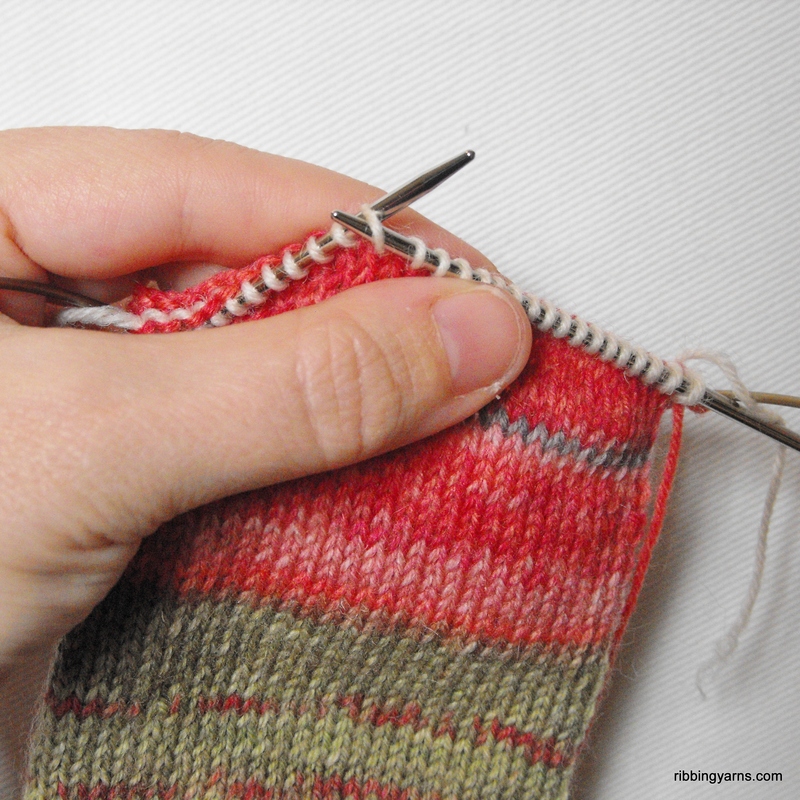 The heel is a bit like knitting an extra toe, so will be about 2″. 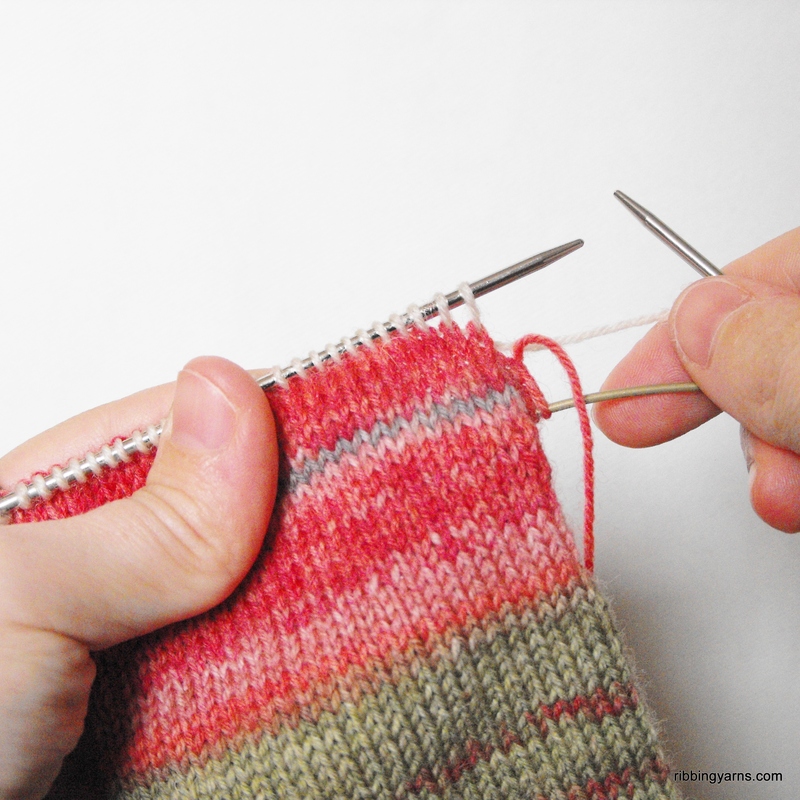 However, if you have a high instep it would be a good idea to knit a few plain rounds first before starting the decreases. You don’t need to worry about the foot body stitches, it will work out! Thank you so much. A knitting group that I am a part of doesn’t seem to understand my question. I am glad that you do.